Rorschach and Awe: As Opposition Grows over the APA’s Policy Allowing Psychologists to Take Part in Military Interrogations, Vanity Fair Exposes How Two Psychologists Shaped the CIA’s Torture Methods | Democracy Now! investigative reporter and writer for several national publications. Her latest article is “Rorschach and Awe,” published exclusively on VanityFair.com. assistant research professor at Northwestern University. He is a founding member of the Coalition for an Ethical APA and is also the chair of Divisions for Social Justice, a collaboration of 13 APA divisions promoting a greater emphasis on social justice in the field of psychology. AMY GOODMAN: President Bush, in his July 20th executive order, gave the Central Intelligence Agency the green light to resume some severe interrogation methods to question prisoners at secret prisons overseas. While the order explicitly bans murder, sexual abuse and religious denigration, it remains silent on the use of psychological torture and specific techniques, such as waterboarding, sleep and sensory deprivation, death threats, stress positions, isolation and use of dogs. Today, we spend the hour on the explosive issue of psychologists and their role in America’s continuing use of so-called “enhanced” interrogation techniques that the International Committee of the Red Cross calls “tantamount to torture.” The pressure for a moratorium is mounting with a vote expected in several weeks at the annual meeting of the American Psychological Association in San Francisco. Katherine Eban, the author of “Rorschach and Awe,” published in Vanity Fair, joins us in the firehouse studio in New York. Brad Olson is assistant research professor at Northwestern University and a founding member of the Coalition for an Ethical APA. He was also one of the primary authors of the open letter to the APA president last month. Brad Olson joins us from Chicago. We welcome you both to Democracy Now! Katherine Eban, let’s begin with you. Talk about why you began this almost year-long investigation. KATHERINE EBAN: Originally, a group of psychologists had come to me from within the APA. They were highly disturbed about the results of a task force, which had determined that psychologists could follow military guidelines and American law instead of international human rights treaties, if they were given directions by the military to participate in interrogations. Basically, they felt this was allowing psychologists to follow the lower standard of human rights and basically would keep them in the interrogation booth. Conversely, the American Medical Association and the American Psychiatric Association prohibited their members from being involved in interrogations. So these group of psychologists were suspicious that there was some kind of quid pro quo, some sort of backroom deal with the Defense Department. I began to probe their allegations. It didn’t quite line up from an investigative point of view. It seemed very fishy. There were accusations that the task force had been stacked with military psychologists, that the conclusions were preordained, and while there seemed to be a reasonable case for that, it didn’t quite explain to me what psychologists were up to, because some of the military psychologists on the task force had actually protested the role of psychologists in interrogations. And the more I investigated, the more I heard about a different set of psychologists, a set of psychologists who worked for the CIA, who were involved in some of the interrogations of high-valued detainees. And what I learned was that those group of psychologists were actually the architects of a regime that amounted to torture and that their tactics, which were what we call reverse-engineered tactics from a military training program called SERE — Survival, Evasion, Resistance, Escape — rippled through the entire system like a demented game of telephone in which these tactics were used not just at the CIA black sites, but in Iraq, in Afghanistan, in Guantanamo. KATHERINE EBAN: The SERE training program — Survival, Evasion, Resistance, Escape — is intended to train American soldiers who are likely to be held captive in the event of a war to resist interrogation techniques from a fictional enemy, as it were. Basically, they are exposed to Soviet-style interrogation techniques that include waterboarding, sleep deprivation, extreme temperatures, religious degradation. They are exposed to this in an effort to inoculate them against the stress of capture. There are a group of psychologists who oversee that program in order to ensure the safety of the American soldiers who are undergoing the training. They are supposed to prevent the trainers from behavioral drift and prevent the soldiers from getting harmed. It was those group of psychologists who ended up working for the CIA as contractors, who made a case that they had a method for making people talk. And so, it was those reverse-engineered training methods that were used on detainees. AMY GOODMAN: Talk about who the key psychologists are that you detail in your piece in Vanity Fair. KATHERINE EBAN: The two psychologists that I identified are James Elmer Mitchell and Bruce Jessen. They work out of an office in Spokane, Washington: Mitchell, Jessen & Associates. They used to be associated with the Air Force base, Fairchild, there, and Air Force SERE training program. And they are the ones who were, according to my sources, in charge of interrogation training at CIA black sites. So any trainers who were going to be working with detainees would wind up in a Mitchell, Jessen shop, where they were being trained by those men in those techniques. Critics — and there were many — referred to them — they had sort of two nicknames. One was the “Mormon mafia,” which was a reference to their shared religion. And another one was the “poster boys,” because people thought that their activities would land them on the FBI’s most wanted posters. AMY GOODMAN: What did they do? What interrogations were they involved with? KATHERINE EBAN: According to my reporting, James Mitchell arrived at the interrogation of Abu Zubaydah. He was one of America’s first high-value detainees. He was captured in March of 2002 in a firefight in Pakistan. He wound up in a safe house in Thailand. He was rushed to a hospital in order to save his life from infected wounds. The FBI had agents present at the scene, and because the CIA’s interrogation team had not yet arrived, they began to interrogate Zubaydah. And what they used was classic rapport-building techniques that almost every FBI agent is trained in, which is to find common ground with the person you’re interrogating, to treat them with humanity. And, lo and behold, Zubaydah responded and talked, and not only talked, but gave them the name of the person who had been the entire master planner of 9/11: K.S.M. Khalid Sheikh Mohammed, referred to as Mukhtar. He identified him. He identified Jose Padilla. In other words, there was every indicator that rapport-building techniques were completely effective. However, after those disclosures, the CIA interrogation team arrived with James Mitchell it tow and said, “Now, everything is going to change. We’re going to get him to say everything he knows, and we’re going to use these coercive techniques.” And, according to my sources, there was even a coffin present at the interrogation they were going to use to bury Zubaydah alive. AMY GOODMAN: Hadn’t George Tenet gotten involved between the two interrogations, between the FBI and the later CIA? KATHERINE EBAN: Well, like most bad ideas in the war on terror, much of it is driven by a turf battle. So, reportedly Tenet was at Langley in a meeting. He said, “I want to congratulate my agents on the ground for the disclosures.” And then he learned his agents were not on the ground interrogating him. He got furious. He said, “Get that interrogation team there as quickly as possible. Make sure you keep Zubaydah alive.” And so, there was a clear turf battle. Now, the FBI agents who were present, once the CIA interrogation team introduced these harsh tactics — basically there was the equivalent of a firefight within the safe house over what kind of tactics were going to be used. And the FBI ultimately deemed that its agents could not be present while coercive tactics were being used. You know, the FBI is a law enforcement agent. Their goal and their training is to bring people to trial using interrogation methods that are permissible at a trial, which don’t include any of these coercive techniques. Of course, you couldn’t bring anybody to trial saying that you had extracted a confession using these methods. And so, the result of the fight within the safe house between the FBI and the CIA was to give the CIA, which had much less experience with interrogations, control. And that’s how America’s interrogation policies unfolded. AMY GOODMAN: We’re talking to Katherine Eban, investigative reporter, broke the story in the Vanity Fair of July called “Rorschach and Awe.” We’ll be back in a minute. AMY GOODMAN: Our guest Katherine Eban, she’s investigative reporter and writer with a number of national publications — her latest piece, “Rorshach and Awe.” I have to correct: I said it was in the July issue of Vanity Fair. It is not in the issue of Vanity Fair. It is on the web at vanityfair.com. Actually, Katherine Eban, why isn’t it in the actual publication? KATHERINE EBAN: There were so many developments that were breaking around this story, including an investigation by the Senate Armed Services Committee into the use of these reverse-engineered SERE tactics, that because Vanity Fair is a monthly magazine and we plan and print issues months in advance, we felt that it might not hold and we wanted to rush it into print, so we used the website. AMY GOODMAN: So, you were talking about the interrogation, first the FBI interrogation of Zubaydah and then moving on to the CIA interrogation, after George Tenet lost his mind, apparently, after hearing there was a morsel of good information out of Zubaydah, congratulating the team on the ground, but learning it was the FBI who got it, rushed in the. CIA team. The psychologist involved with that, explain further, and what the role of that psychologist was. KATHERINE EBAN: Mitchell showed up at the safe house, along with the chief psychologist for the counterterrorism center, Dr. R. Scott Shumate, who, I should mention, was a member of the APA’s task force on interrogation policy. Mitchell said that “We’re going to use these harsh interrogation tactics in order to extract all the possible information from Zubaydah.” And among those, as I mentioned, was a coffin in which they were planning to bury him alive. Curiously, when this fight broke out at the safe house over the use of these policies, Shumate protested the tactics and subsequently told associates, as we had learned, that he thought it was a mistake for the CIA to hire contractors. Nonetheless, at the time, Mitchell said that the interrogators were going to be Zubaydah’s god and that they would basically bestow privileges or take them away, depending on his level of cooperation. And basically his philosophy, as it was described to me by someone familiar with his use of tactics, is to completely break down a detainee through white noise, through complete separation of his personality, to completely unmoor him and make him completely dependent on his interrogators. And it was through that psychic breakdown he had planned to extract as much intelligence as possible. AMY GOODMAN: You write the CIA put them in charge of training interrogators in the brutal techniques, including waterboarding, at its network of black sites. In a statement, Mitchell and Jessen said, “We are proud of the work we have done for our country.” Where are Jessen and Mitchell today? KATHERINE EBAN: My understanding is they are — they have their company, Mitchell, Jessen & Associates. It actually — business appears to be blooming. They have 120 employees out of their office in Spokane. They have classified contracts with the CIA in their office. They even have what’s called a SCIF, which is a secure compartmented information facility, as a way to handle classified materials, classified training, classified documents. AMY GOODMAN: Katherine Eban is our guest here in studio. We’re also joined in Chicago by Brad Olson. He is an assistant research professor at Northwestern University and a founding member of the Coalition for an Ethical APA, also chair of the Divisions for Social Justice, which is 13 APA, American Psychological Association, divisions promoting a greater emphasis on social justice in the field of psychology. There looks like there will be a showdown at the annual convention of the APA that’s taking place in a couple of weeks in San Francisco around the 16th, 17th, 18th, 19th of August at the Moscone Center. Professor Brad Olson, can you talk about what is happening within the APA? You’re head of 13 divisions. BRAD OLSON: Yes. There’s a wide — I should mention there’s a wide variety of beliefs. Psychologists are sort of across the spectrum on what psychologists themselves should be doing. And so, I mean, it ranges from some of the leadership in the American Psychological Association and others who believe that — they have made very clear statements that they are against torture, although there’s a very strong attempt to sort of maintain that role of psychologists in these detention centers as part of the interrogation process, and then there’s other psychologists who sort of say that Principle A in the American Psychological Ethics Code is to do good and to do no harm, and so there’s, you know, certainly — there’s absolutely no intention in this interrogation process to do any good to the detainee, and, in fact, there’s quite a bit of evidence that harm is occurring. And then there’s sort of — so those are two groups, I mean, one group saying, no matter what, psychologists should be involved in the interrogation process, another group saying basically that psychologists should not be engaged in interrogation. And then there’s many, many others who say that psychologists should not be in settings like Guantanamo or detention centers in Iraq or Afghanistan at all and that simply their presence is just facilitating the human rights violations that are going on at these sites. AMY GOODMAN: Katherine Eban, you write about how the American Medical Association, the American Psychiatric Association, both of these associations have passed resolutions banning involvement in military interrogations. They will punish members who are involved. What has happened here with the APA, the larger association, American Psychological Association, of, what, some 150,000 members? KATHERINE EBAN: Well, that is an open question. I mean, why does the American Psychological Association stand alone in allowing its members to participate in interrogations? Some would say because psychologists don’t take a Hippocratic Oath. Some would say because they have had a long experience in assisting law enforcement with interrogations. However, I always found that comparison specious, because a military interrogation or a CIA interrogation is occurring in an environment where there is no habeas corpus, where it’s already been deemed that these detainees are not covered by the Geneva Conventions. So critics would argue that it’s a fundamentally coercive environment. So there’s no level playing field. There’s no way in which detainees can invoke their rights, because it’s been deemed they have none. 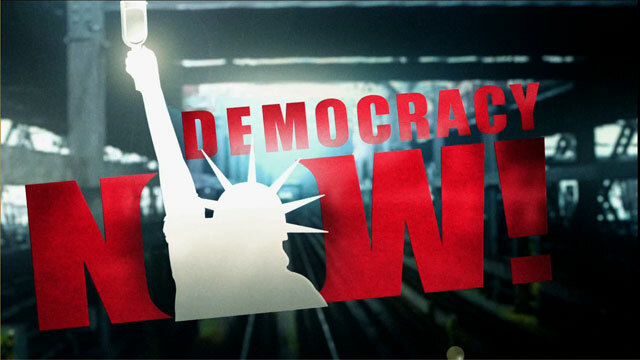 AMY GOODMAN: Last year, Democracy Now! hosted a debate on the role of psychologists in military interrogations. We included Dr. Gerald Koocher, then the president of the American Psychological Association, still a powerhouse behind the scenes. This is some of what he had to say about the issue of psychologists involved in interrogations at Guantanamo. GERALD KOOCHER: We don’t, as a professional association, tell our members that they can’t work for a given employer. Obviously there are some people who don’t think that psychologists should assist in the military at all. That’s a political preference and a social statement, but there are many very beneficial things that psychologists have done in the military. One example is that the lead officer sent in to help clean up Guantanamo Bay was a psychologist, a U.S. Army colonel, who was sent in to help to clean up the abuses as soon as they were reported. There’s another APA member, a civilian employee of the Navy, who was sent to Guantanamo and was one of the first people to file complaints with his superiors about things that he observed down there, and he reportedly brought about some changes. I wish I had the assurance that Jane Mayer and that Dr. Reisner apparently have that there are APA members doing bad things at Guantanamo or elsewhere, because any time I have asked these journalists or other people who are making these assertions for names so that APA could investigate its members who might be allegedly involved in them, no names have ever been forthcoming. AMY GOODMAN: That’s Dr. Gerald Koocher, former president of the American Psychological Association, still very active in the APA. Katherine Eban? KATHERINE EBAN: Well, you don’t make an ethics policy by citing a few positive examples. There has been an army or military line and an APA line that are surprisingly similar, which is that psychologists make interrogations safer and more effective. But what my reporting found is that the interrogations they make safer are the interrogations that had been made more dangerous. In other words, you take some very dangerous methods, like reverse-engineered SERE tactics — it’s basically like letting a tiger loose in the interrogation booth, and then you get in an animal trainer to make sure that the animal doesn’t go crazy, but why did you put the tiger in the booth in the first place? In other words, psychologists were initially used in the SERE program in order to prevent against behavioral drift. So what the military is saying and what the APA is saying is, psychologists can play that role in interrogations, but those are the interrogations in which these reverse-engineered SERE tactics are being used. Now, presumably, if you didn’t use those tactics, you wouldn’t need psychologists to safeguard them. AMY GOODMAN: I want to turn to another clip. We’ve been having a series of discussions on this issue. And this is Jean Maria Arrigo. Early last month, we interviewed Dr. Arrigo, member of the 2005 APA Presidential Task Force, known as the PENS Task Force, Psychological Ethics and National Security. A year after the APA task force had released its report, it was revealed that six of the nine voting members were from the military and intelligence agencies with direct connections to interrogations at Guantanamo and elsewhere. Dr. Arrigo said the task force report “should be annulled,” because the process was “flawed.” I want to play for you a clip from our phone interview with her, when I asked her to recall that meeting and the whole process they had of drafting the report. DR. JEAN MARIA ARRIGO: Well, this is what I consider one of the very serious flaws in process. On the first morning, a person who was not a member of the panel introduced the question of confidentiality, even though there was nothing on the table at that time that merited that concern, as far as I could tell. And the chair said that we would have to establish confidentiality or our position on that before we would go on. AMY GOODMAN: Who was the chair? DR. JEAN MARIA ARRIGO: The chair of the panel? DR. JEAN MARIA ARRIGO: Olivia Moorehead-Slaughter. DR. JEAN MARIA ARRIGO: Yes. And so, this was actually the only issue that came to a vote, you know. And the reason given for confidentiality began with — this, again, was introduced by a non-task force member, is that we were there to kind of put out the fires, calm the waters, and that if we didn’t have a confidential process, we would essentially be fanning the flames. So that was the first reason that was introduced. And then, one of the military people was particularly concerned about possible retaliation from terrorists to his family. And so, the military issue became conflated with the putting-out-the-fires proposal, and we had a vote at that time. I was very much opposed to confidentiality and voted against it. One other person abstained, who was concerned about the military safety issue, and all others voted for confidentiality. AMY GOODMAN: The issue of note-taking? DR. JEAN MARIA ARRIGO: But the note-taking issue was more — hit me severely. I’m an oral historian, maybe even before a psychologist, and I always take notes. And I was told very sharply by one of the military psychologists not to take notes. No one defended my note-taking. No one else, as far as I could see, was taking notes, except for an APA authority who had a computer there and took all the notes through the session and wrote our report. I don’t want to say there’s anything exactly improper in his doing that, but I think the fact that he was the only person taking notes officially was a great problem. AMY GOODMAN: Did you continue to take notes through the discussion? DR. JEAN MARIA ARRIGO: Pardon me? DR. JEAN MARIA ARRIGO: Well, yes, but covertly, you might say. I can’t think without taking notes. After lunch on the first day, we had a first draft of our report, and almost all of our effort was going to generating a report, rather than thinking through it. And so, I took notes in the margins of these drafts as they came out. So I did take very close notes on the first half-day, and after that, notes in margins. AMY GOODMAN: Do you feel you’re violating the confidentiality agreement by speaking out today? DR. JEAN MARIA ARRIGO: Do I feel that? No. I would say the reason I don’t feel that is because, as I came later to realize that the entire report had been orchestrated, I no longer felt bound by that confidentiality agreement. I thought it was inappropriate to begin with. AMY GOODMAN: And so, Dr. Jean Maria Arrigo has turned over her notes, the emails from the listserv leading up to this meeting and afterwards to the Senate Armed Services Committee. Katherine Eban, where does this go from here? And what about the significance of that — was it a two-day meeting? — who not only was on the committee, the six of nine voting members in military? While the civilian psychologists say they understood that they were military, they did not understand the extent to which they had been key to setting up the — key to the involvements in the interrogations? KATHERINE EBAN: I reviewed all of Dr. Arrigo’s notes, all of the email correspondence from the APA task force, the listserv documents, all the documents, I believe, that Dr. Arrigo has turned over to the Senate Armed Services Committee. I spent, really, a number of months looking at those documents. But as an investigative reporter, there were things that didn’t quite add up for me, which was that the military psychologists who were on the committee were a number of those who had actually opposed the most coercive tactics. So, what was going on? I mean, that was my question. And really what it now looks like to me is that you had these CIA psychologists behind the curtain who were spreading the use of tactics that military psychologists ended up being blamed for, in part. And so, in a sense, they were — the military psychologists and somebody like John Leso, who was a young psychologist who was drafted into the interrogation of Khatani, were essentially plunged into an ethical quagmire that was not of their own making and that originated with these other psychologists. Now, of course, I’m sure there are people who say, you know, I’m giving the military psychologists a walk here, and, of course, there is a great deal that remains to be seen of their activities, but from my reporting, what I could tell is, is that they opposed — a number of them opposed — the most coercive tactics. AMY GOODMAN: But what didn’t happen was a call for a moratorium on military — psychologists’ involvement in military interrogations. Can you talk about the APA-RAND meeting with these two CIA psychologists, where they spoke? KATHERINE EBAN: Yeah. The APA-RAND meeting proved to be very important to my reporting, because I was able to obtain the attendance list, which is basically a catalog of the psychologists who are most involved in studying deception and interviewing, which is effectively those who are involved in interrogation policy. And lo and behold, Mitchell and Jessen were on the attendance list. The attendance list is divided into two parts. One was really academic researchers, and the other one was operational, operational psychologists. So these were a lot of people who were associated with the CIA, some whose identity was so classified that they were only listed by first name in italics. Mitchell and Jessen were there on the list, listed as CIA contractors. And I think without that attendance list, I don’t know if we would have been able to put out this article. AMY GOODMAN: The CIA funded this APA-RAND conference? AMY GOODMAN: They debated the effectiveness of truth serum and other coercive techniques. KATHERINE EBAN: Right. That’s correct. AMY GOODMAN: We’re talking to Katherine Eban, investigative journalist, has just published the report, “Rorschach and Awe,” that’s published exclusively at vanityfair.com. When we come back, we’ll continue with her and with psychologist Brad Olson, who leads 13 APA divisions promoting greater emphasis on social justice. The meeting of the APA is coming up. It promises to be a real showdown in San Francisco among psychologists who are deeply concerned about psychologists’ involvement in torture of prisoners. Stay with us. AMY GOODMAN: We’re talking about the continued controversy within the APA, the American Psychological Association, as the annual meeting is about to take place. There are demands for a moratorium on military interrogations, that’s being fought back by the leadership of the APA, and a growing number of psychologists around the country who are refusing to pay dues, who are talking about introducing new resolutions to stop the connection between psychologists and military interrogations. Katherine Eban published the piece “Rorschach and Awe,” exclusively at vanityfair.com. Professor Brad Olson is a psychologist at Northwestern University, founding member of the Coalition for an Ethical APA, chair of the 13 divisions within the APA promoting greater emphasis on social justice. Let’s go to you right now, Brad Olson. What is being proposed to be voted on at the APA at its annual meeting in San Francisco? AMY GOODMAN: Standing for Psychological Ethics and National Security. AMY GOODMAN: Who’s fighting this? Who is fighting this? AMY GOODMAN: Who is fighting this, having a moratorium to investigate further? BRAD OLSON: Who is fighting it? Well, it’s difficult to tell. I mean, what we do know is that — I mean, clearly the staff of the American Psychological Association, some staff members who are very high up are the ones that are really — seem to be fighting tooth and nail. AMY GOODMAN: Why is the APA so closely tied to the military and military intelligence? What is the history of this relationship? BRAD OLSON: Well, I mean, the history certainly goes way, way back. I mean, certainly in — you know, some people might question the morality of any wars, but certainly some people would argue that World War II, that psychologists really were — really created some effective means and techniques to do some positive things, although that — there’s also a great history of that being very sordid and sinister and harmful, which is exactly why we need to stick to our ethics code. But, I mean, now it’s a question, why — where are the ties? I mean, some people argue that this has a lot to do with our competition with psychiatry, psychologists’ competition with psychiatrists. AMY GOODMAN: And now that the APA has refused, has said that they won’t be involved with military interrogations — that’s the American Psychiatric Association — the APA can take over and play a greater role? BRAD OLSON: — that there’s this issue of psychopharmacology. Should psychologists — I mean, that’s the main distinction between psychologists and psychiatrists, or one of them, and that’s that psychiatrists can prescribe. So, there is a big movement within psychology, so to make it so that psychologists have prescriptive authority. And Walter Reed, the Department of Defense, set up the pilot program that essentially put — that gave psychologists the foot in the door to start prescribing. And, in fact, some of these psychologists are the very — the “Biscuit” psychologists are the ones who are — have been part of this prescriptive authority program. But there’s all sorts of different reasons, and some people argue that it has to do with appropriations and funding for research and just all sorts of possible connections. AMY GOODMAN: Explain, Katherine Eban, who the “Biscuits” are. And this is very interesting, this idea that the military might be the path through which psychologists can be able to prescribe drugs. KATHERINE EBAN: The “Biscuits” — it’s an acronym for the Behavioral Science Consultation Team. KATHERINE EBAN: BSCT. And what happened at Guantanamo — I mean, the “Biscuits” have been a focus of the ire of some psychologists who oppose involvement in interrogation by their profession. But initially the BSCT teams were a tool of those who were pursuing rapport-based interrogation methods. I describe Colonel Brittain Mallow, who was initially in charge of trying to investigate who at Guantanamo should be prosecuted or not. And he foresaw — he has an advanced degree in Middle East studies — he foresaw that there would be a tremendous cultural divide. So his group, the Criminal Investigative Task Force, reached out to Dr. Michael Gelles, who is a psychologist who was also a member of the APA task force, the PENS task force, and he set up a group of psychologists who would act as cultural advisers and advise on ways to bridge the cultural divide and employ rapport-building techniques in interrogations. Well, what happened was, as Mitchell and Jessen’s tactics were promulgated throughout the system, it was like a sort of gravy train. It was the new hot idea to bring psychologists into the interrogation booth. So the head of the Joint Task Force Guantanamo, which was the main arm of the Defense Department to extract intelligence from detainees, said, “I want my own psychologists, so I’m going to go set up my own BSCT team, and I’m going to pull psychologists who are involved in clinical care at Guantanamo and put them into these behavioral science consultation teams.” So, basically, something that started out as a good idea to advance rapport-building methods in interrogations turned into a tool to use coercive tactics. AMY GOODMAN: We’re coming to the end of the program. I wanted you to talk about the memo, the document that you got a hold of that has not seen the light of day, well, to the public, before. KATHERINE EBAN: It is a memo drafted by JTF-GTMO, the task force I just talked about, and it is a SERE SOP, standard operating procedure, how to standardize the use of these coercive tactics in interrogation, and it basically — and it came about a week on the heels of Rumsfeld approving the most coercive tactics, and it lists a category of approaches to interrogations, and they include degradation, manhandling, omnipotence tactics, insults, slaps, walling, hooding, and how to use those dangerous tactics safely. KATHERINE EBAN: Right. To me, this is — it really exposes the military’s argument that psychologists are needed to make interrogations safer and more effective. What they were needed for is to oversee the use of these tactics so that they did not get out of hand and result in the death of detainees. AMY GOODMAN: What if psychologists didn’t participate? The doctors won’t participate. Psychiatrists won’t participate. What if psychologists said no? KATHERINE EBAN: It would be very interesting to see what happens. Perhaps the military would need to shift tactics. But the problem is — and to go back to some of the questions you asked Brad Olson — the military has long been the largest employer of psychologists. We’re talking about a jobs program. I mean, the relationship is long and deep. So there are certainly psychologists who feel that they are serving their country by being in the interrogation booth. AMY GOODMAN: Brad Olson, there’s a protest prepared that will be held at the American Psychological Association annual meeting — is that right? — on Friday in August. BRAD OLSON: That’s correct. That will be on August 17th from 4:00 to 5:30 at the Stone Stage of the Yerba Buena Gardens. And so, the convention is going to go from Friday through to Monday, and we encourage people to come and voice their opinions. And they can get more information at www.ethicalapa.com. AMY GOODMAN: We’re going to leave it there. I want to thank you both for being with us, Brad Olson of Northwestern University, head of the 13 APA divisions promoting greater emphasis on social justice; Katherine Eban, her piece appears at vanityfair.com. It’s called “Rorschach and Awe.” We’ll continue to follow this story.